Partnering with like-minded organizations, we provide underserved communities across the USA with emergency and comprehensive dental care. Our partnerships with local churches, medical centers, education providers, and other organizations allow us to make a lasting impact within our communities. After first serving our home city of Nashville, TN, we have stepped out to serve Middle Tennessee, and are now beginning to see the work of Hope Smiles spread across our country as we unite dental professionals, students, and community members around a common vision to bring holistic transformation to our country through quality, compassionate dental care in the name of Jesus. Click each date and location below to be directed to a page with more details on exact details. If you are a patient seeking treatment at one of these outreaches please click the location closest to you for details. I Want to Register to Volunteer! We are proud to be in partnership with St. Thomas Health, Ascension and Seton Healthcare to provide comprehensive dental care as part of their mobile medical outreach events assisting people in need throughout the Tennessee and Texas. 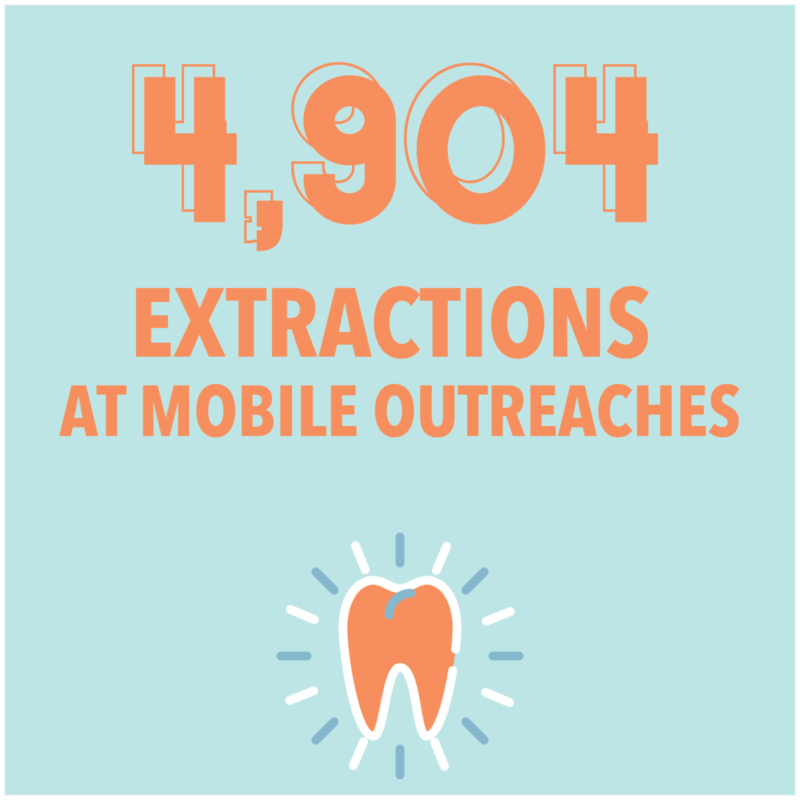 We provide restorative, surgical, and emergency dental care during these outreach events. You don’t need to be in the dental field to make a difference with Hope Smiles! We always need more dental professionals to serve with us, but we also have volunteer opportunities for anyone who is ready and willing to serve. We need people to show up and help where needed, from dental professionals to hospitality to patient registration. Simply say, “YES!” to the call to serve and join us! Partnerships for 2019 mobile outreaches are developing. If you are an organization caring for a community with limited access to quality, compassionate dental care and want to partner with Hope Smiles please click the contact form below. Together, we will transform lives! Thank you for reaching out! Someone from the Hope Smiles team will be in touch soon. Have a great day!